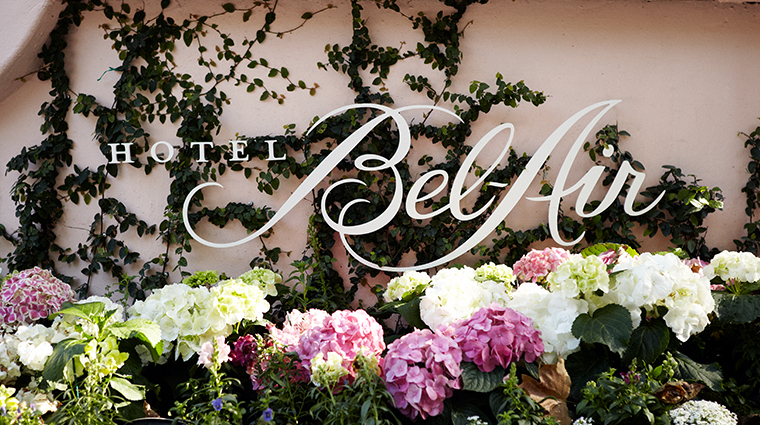 Tucked along the private canyon hillside, Hotel Bel-Air is a sanctuary studded with Hollywood history. The stylish, contemporary design features touches of marble, limestone floors and natural wood ceilings, cultivating a luxurious elegance in the most serene of settings. Forbes Travel Guide Five-Star Hotel Bel-Air sits on 12 acres of lush gardens in the Bel-Air Estates neighborhood of Los Angeles, so the view from any of the 58 guest rooms and 45 suites is tropical. World-renowned celebrity chef Wolfgang Puck mans the restaurant and bar, creating fresh eats with California-meets-European influences. 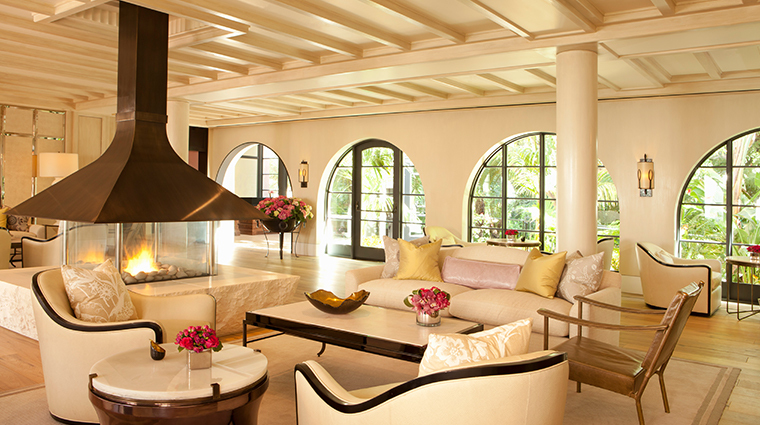 Yet another extra-luxe perk can be found in the Hotel Bel-Air Spa. 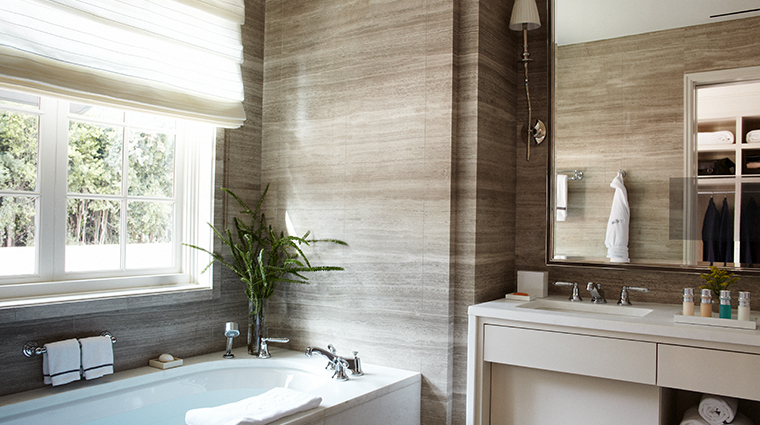 With seven treatment rooms, a mosaic steam room and top-notch service, it'll be tough not to relax in this L.A. oasis. 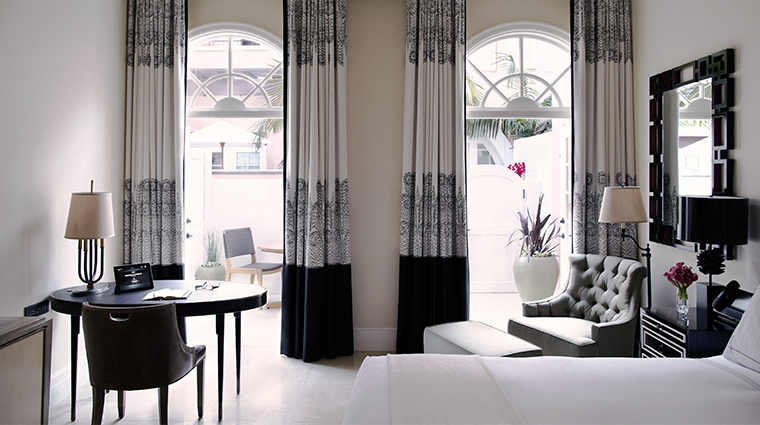 The hotel, which first opened in 1946, has hosted just about every star, including Grace Kelly, Elizabeth Taylor, Cary Grant and Marilyn Monroe, and is still a hub for Hollywood bigwigs. Tucked away in the California hills, the property’s pink guest bungalows feel a million miles away from traffic-clogged Los Angeles. 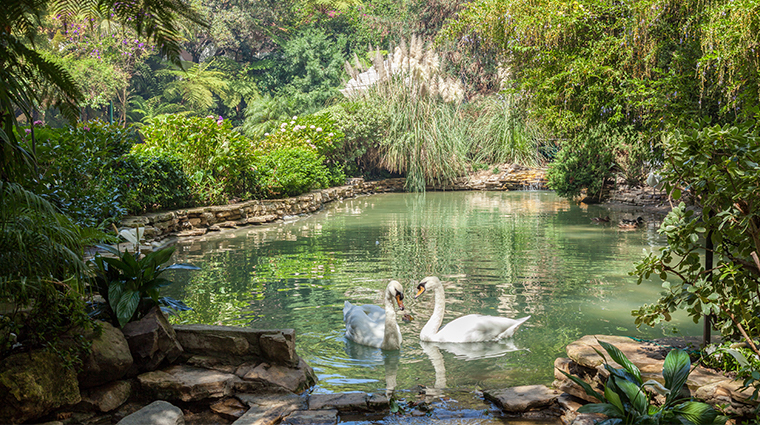 Giant oaks and tall shrubs surround the property, and the hotel’s enchanting grounds include the iconic Swan Lake. 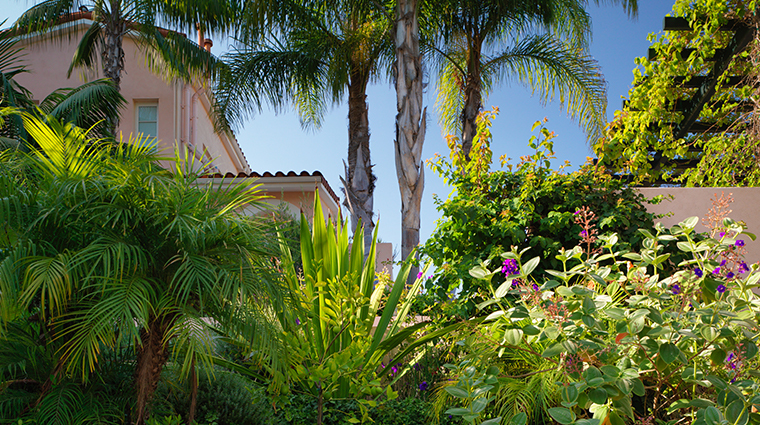 The enchanting grounds truly make the hotel special. The landscaping reportedly includes 200 species of plants and flowers, and you can actually hear the hummingbirds sing in the canyons. 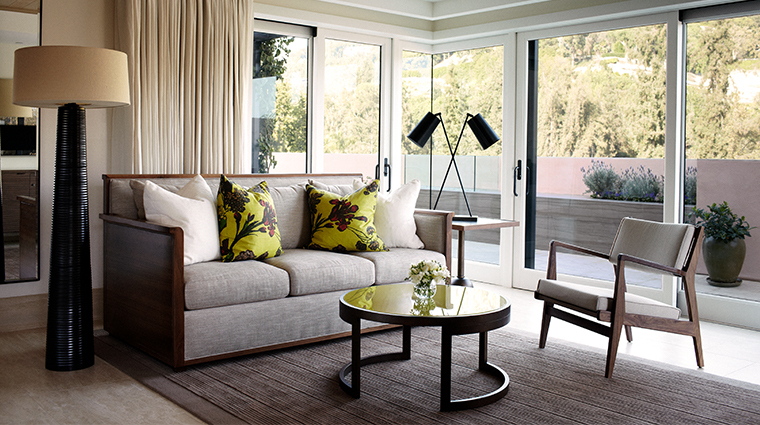 Indoor areas easily flow into outdoor spaces throughout the Los Angeles hotel, creating a unique sense of California living. It seems as though there’s a thoughtfully placed bench at every turn inviting you to sit amid the roses and gardenias. 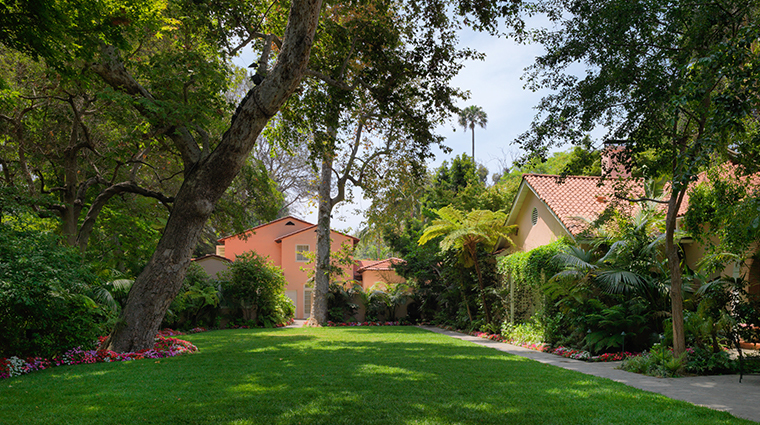 Beloved for its private location, the hotel is located in the canyons of Los Angeles. While seclusion and privacy are paramount here, you will need to drive if you want to visit any sights, restaurants or shops outside of the hotel. The parking is valet-only: There is very little street parking in tiny Bel-Air, so you’ll have to leave your car with the valet. Mini-bars at the Forbes Travel Guide Five-Star hotel are stocked with tasty treats including Dean & DeLuca products and natural juices. 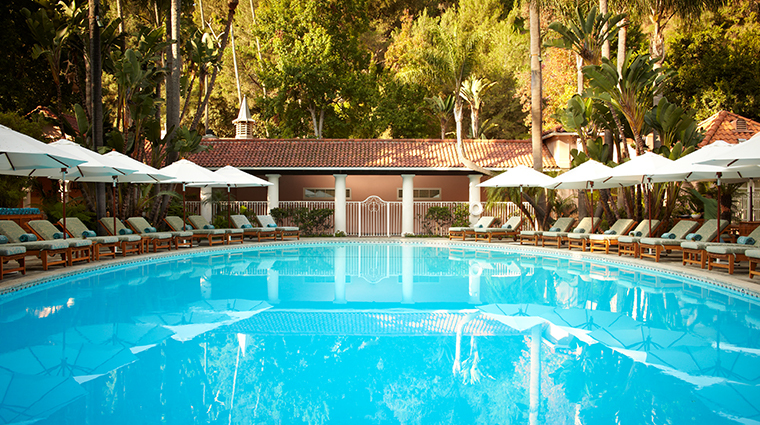 The Hotel Bel-Air Spa is a lovely retreat with top-notch treatments. 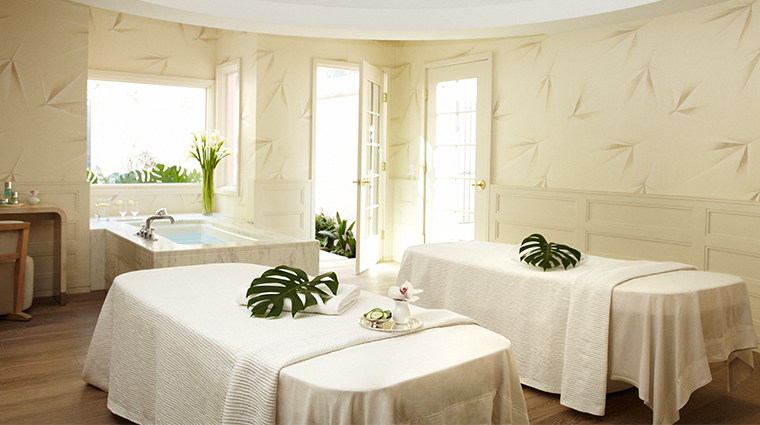 We recommend one of the transformative facials and/or a stress-busting massage. 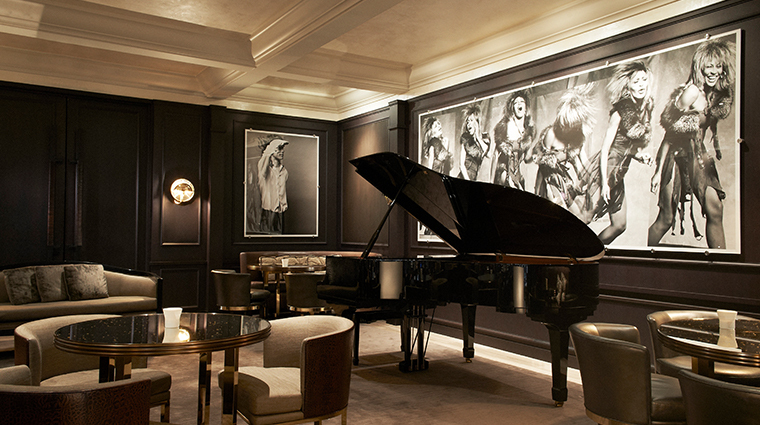 The hotel’s signature cocktail, Monroe’s Passion, is named in honor of Marilyn Monroe, who frequented the iconic Forbes Travel Guide Five-Star hotel often. The drink is made with passion fruit rum, Bacardi 151, passion fruit juice, orange juice, cranberry juice, ginger juice, chili syrup and a dash of grenadine syrup — it’s sweet, but it has some kick. 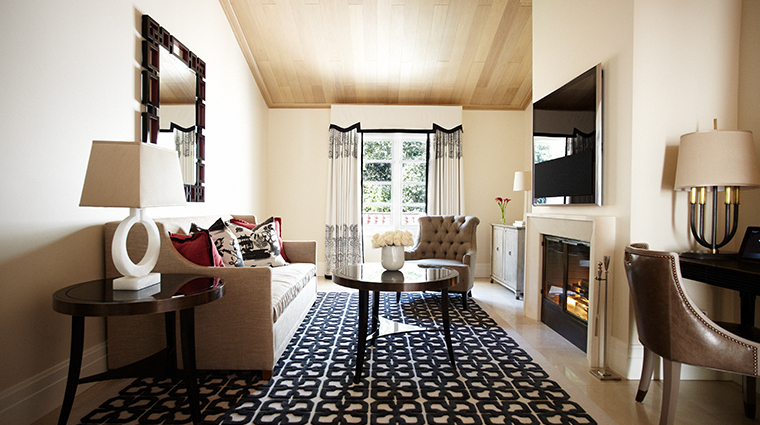 Guest rooms at Hotel Bel-Air are actually little pink bungalows, each with its own gated entrance. 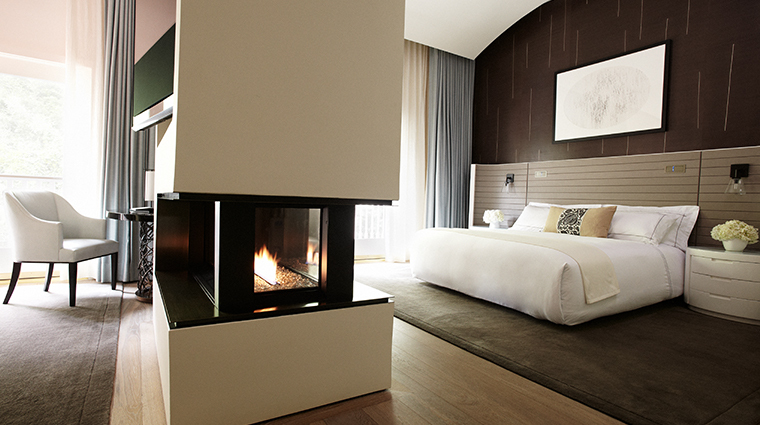 Use the room’s iPad to scan the in-room dining menu or request housekeeping, and control the temperature and lights through the touch screen panel on your bedside phone. 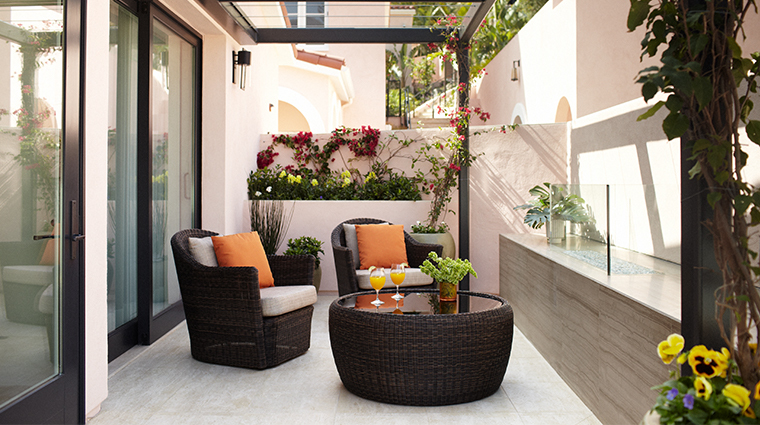 If you love the outdoors, we suggest you request a room with a private garden patio. We also love the sunroom work areas, which allow for some privacy without making you feel closed in. 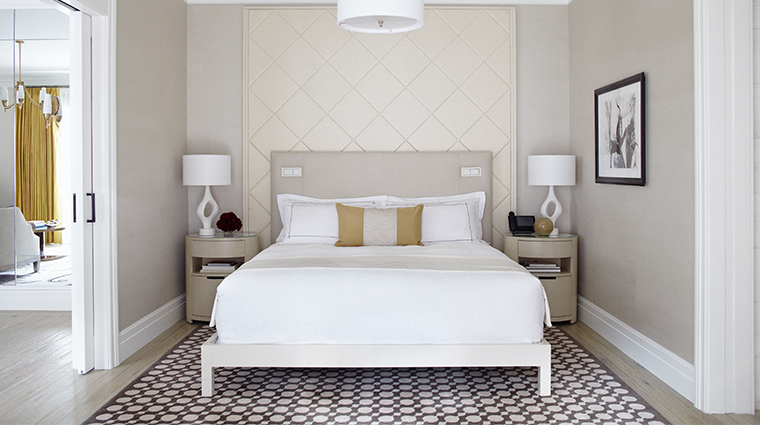 As far as décor, the rooms designed by Alexandra Champalimaud all have a unique look, but share a clean style with a contemporary, Hollywood-glam look. Big floral prints by botanical artist Miron Schmückle add pops of color. 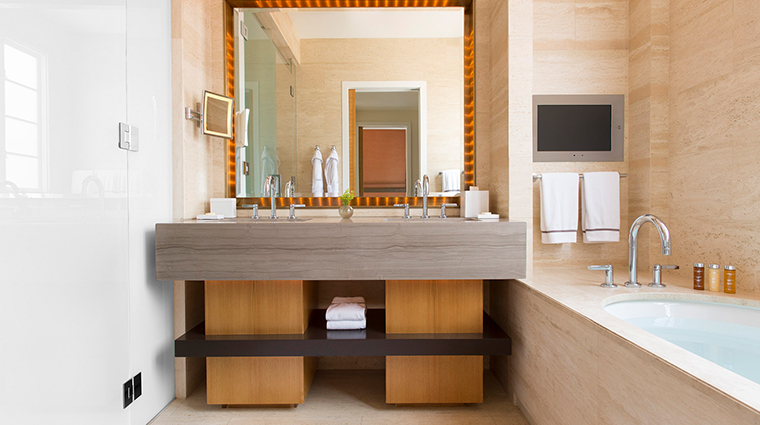 The bathrooms are positively opulent with heated limestone floors, deep soaking tubs with built in televisions and a high-tech heated toilet in a separate water closet. 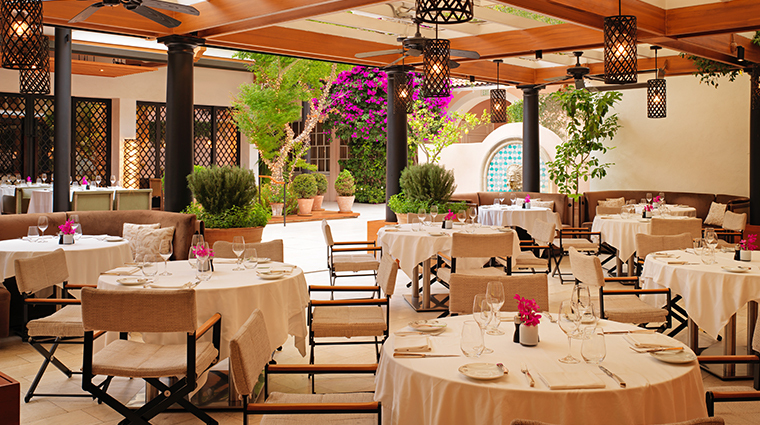 An indoor-outdoor restaurant that exudes Los Angeles’ signature casual elegance, Wolfgang Puck at Hotel Bel-Air is the centerpiece of the iconic hotel. Three-fourths of the restaurant is located outside on the enchanting terrace, which is decorated with hanging lanterns and cozy banquets (there’s plenty of blazing heat lamps for the occasional chilly day and night). For those looking for a romantic night out, request one of the five private alcoves overlooking Swan Lake — each is adorned with throw pillows and dozens of glowing candles. 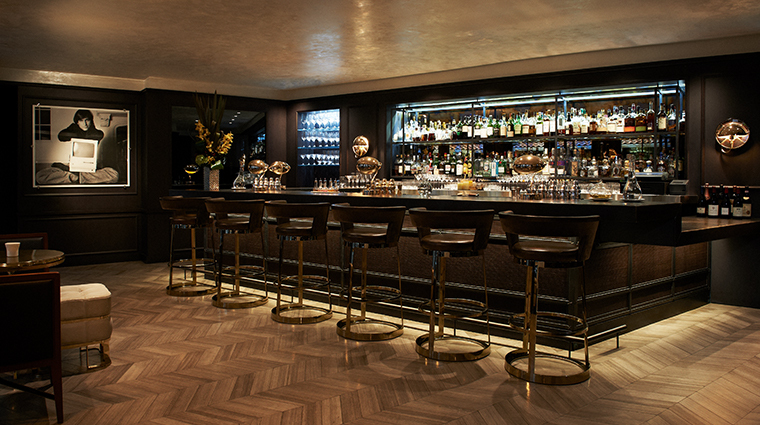 The restaurant is open for breakfast, lunch, afternoon tea and dinner daily, with a prix fix brunch every Sunday. 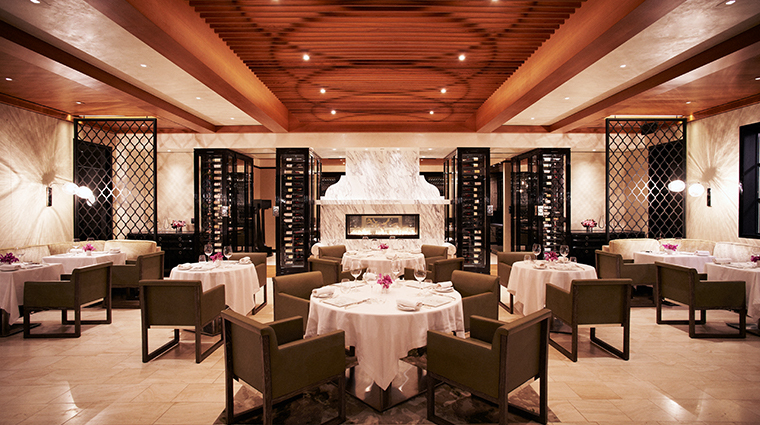 While Wolfgang Puck is the only dining room at the Forbes Travel Guide Five-Star hotel, the kitchen also prepares food for the bar, pool, spa and for room service — here, a gourmet meal created by the star chef is never hard to find. The Best Way To Spend Three Days In L.A.